Heat the oil in a pan and over medium heat the shallots until they are translucent. Add the shallot/rice mixture and oil to the slow cooker. Cook the mushrooms in sauteé pan with 1tbsp. of olive oil and 1/4 c. of white wine. Stir cream and cheese into slow cooker and stir. Let the mixture heat for another 5 minutes. 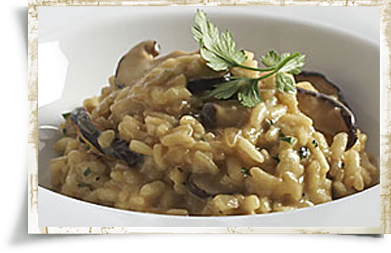 This entry was posted in Main Course and tagged chicken risotto, crockpot, crockpot risotto, crockpot rissotto, easy main course, free recipe, free recipe box, main course, maincourse, maincourse crock pot, mushroom risotto, risotto, rissotto, shrimp risotto. Bookmark the permalink.